Almost two years ago, we were looking at a house that was for sale and beyond the backyard fence was the Belwin Conservancy which purportedly had wild bison. 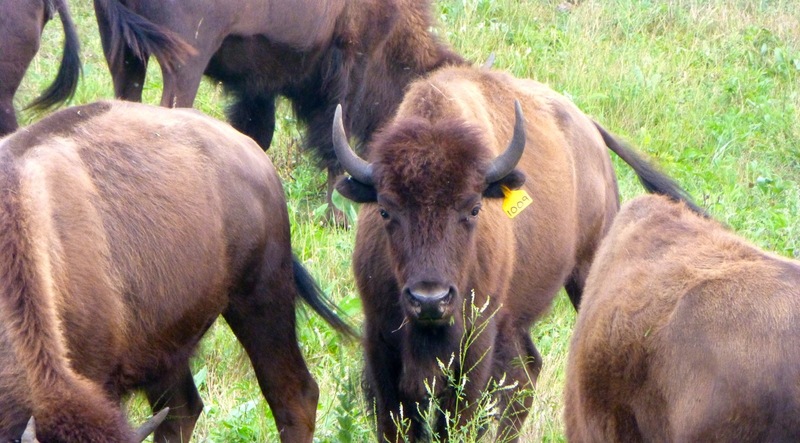 At the time, we didn’t see any wildlife but I knew that I didn’t want bison living so close to me. I had visions of them going crazy and crashing into our house (not to mention the possibility of the smell that we might get when the wind shifted our way). 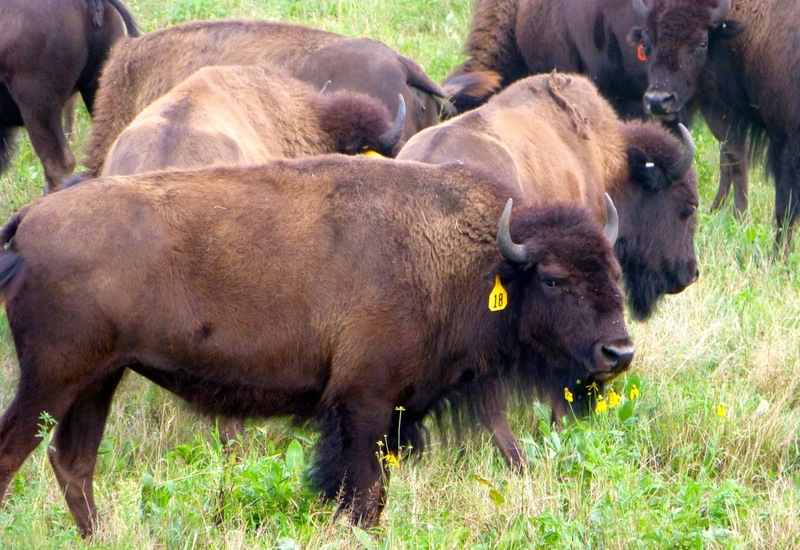 So — the “Bison” house was passed on. 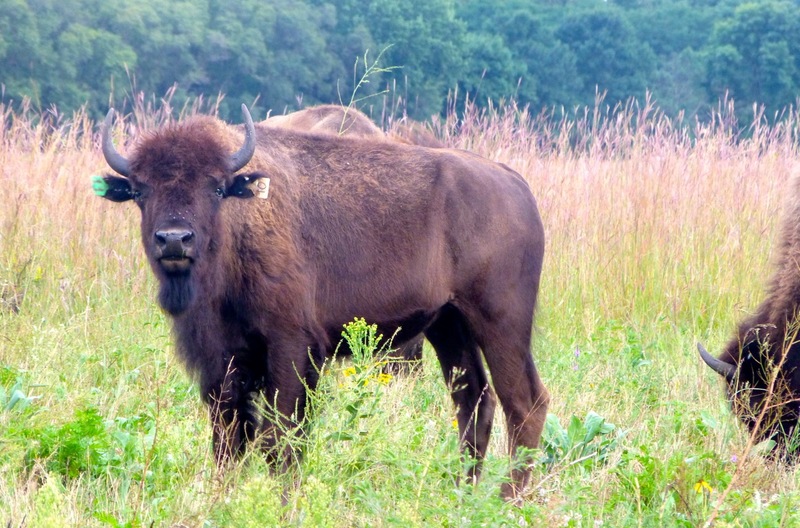 Recently we took a drive to the Belwin Conservancy to see if bison actually existed. We weren’t disappointed. 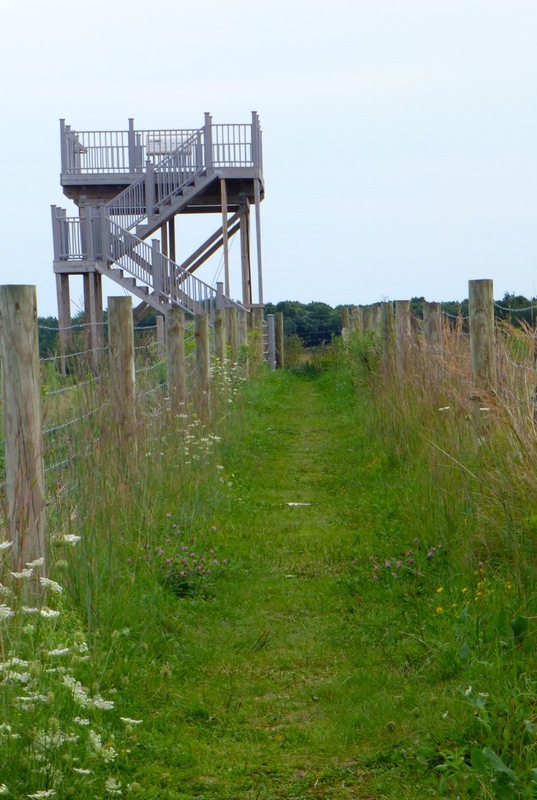 There are two observation decks at the Conservancy. 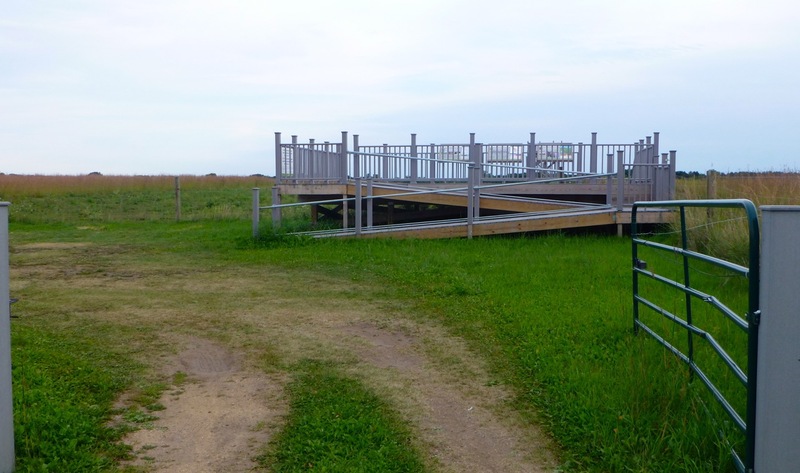 The first one is a 6 foot accessible deck that has a ramp. 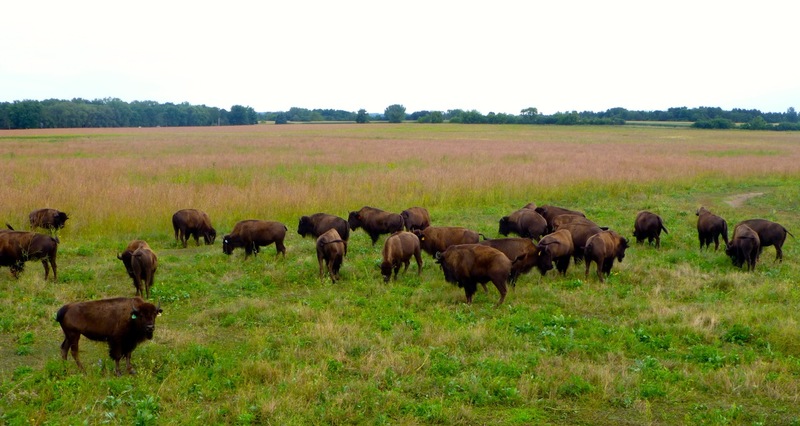 You can see bison from this distance. The second deck does not have a ramp so we headed up the stairs to observe the wild bison. And boy were they out today! It appeared that one seemed to be staring at me. I think we made a “connection.” Perhaps he/she was as curious about me as I was about him, uh, her? 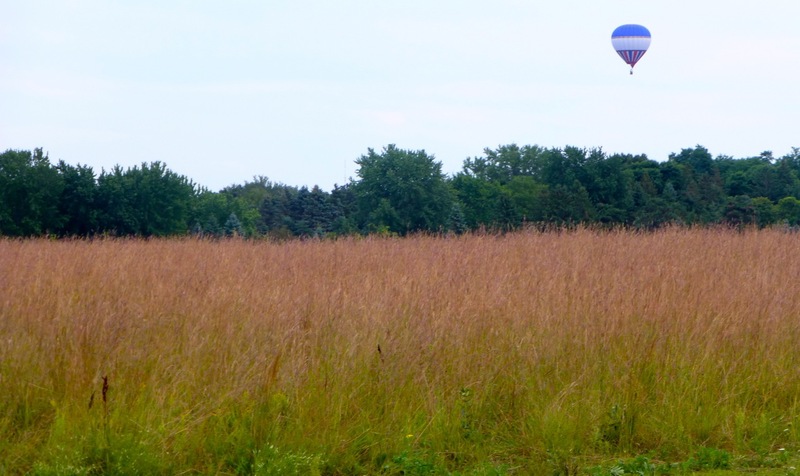 The area where the bison live has a beautiful marshland and high up in the sky across the blue Minnesota sky you could see a hot air balloon. I wonder what it would be like to go on one of these rides? 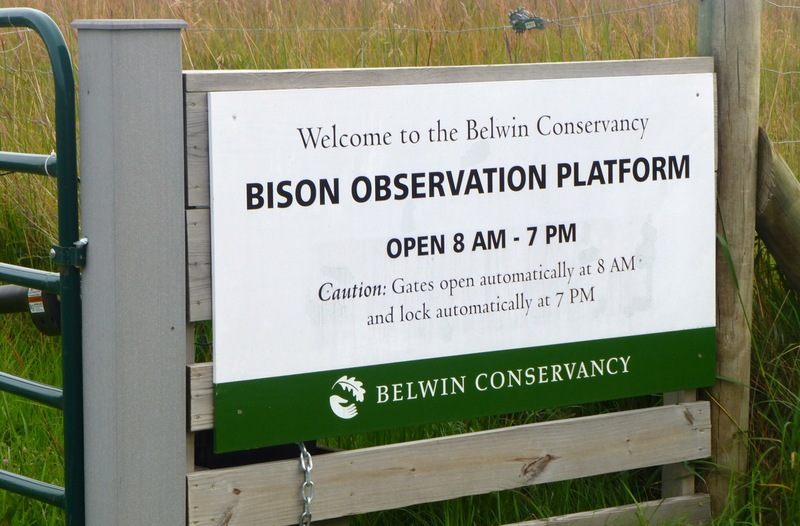 The Belwin Conservancy observation decks are located in Afton, Minnesota and are open when bison are present which they say is from June through October. For additional information please go to their website by clicking here.